7th July 2015 Redacted letters in an artwork. The artwork below was created this morning with the newspaper I bought after walking the pier. 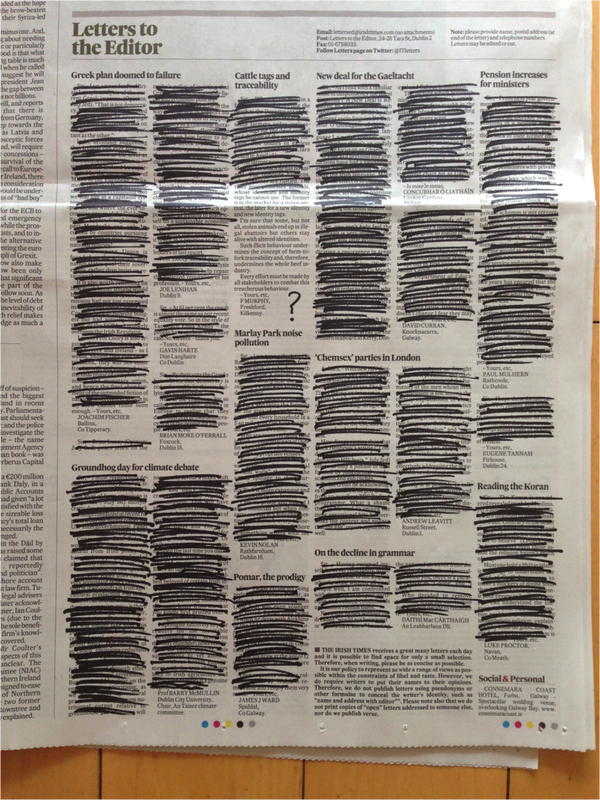 It was done to make it easier for women to see all the women's letters that have been printed in today's Irish Times - hence all the men's letters are redacted.